We have taught every standardized test. The LSAT is quite probably the most demanding and the most significant of all graduate school tests. We can debate about the merits of placing so much emphasis on the LSAT for admission to law school. But, we tell our Connecticut clients that “it is what it is”. So, let’s hope that the LSAT becomes a weapon of yours that will help, not hinder, your admission to law school. You should prepare vigorously because law school admissions is based largely on two numbers: your undergraduate GPA and your LSAT scores. Certainly, older students with significant work experience or the rare undergraduate candidate with an extraordinary story or accomplishments will override this generality. But, for most students, particularly younger students, the LSAT becomes your key to admission. Why will we be able to help you in a way that most every tutoring organization cannot? 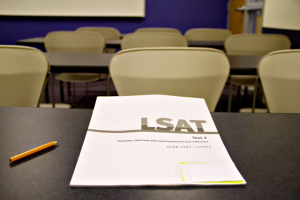 Very few teachers are familiar with the LSAT. Franchises typically hire law students who did well on the test. None – or almost none – have any teaching experience. The teachers did well on the test and went through a crash training program to learn how to teach the test. It is not surprising that we routinely hear great frustration from clients who come to us after they have been disappointed by their experiences elsewhere. The teaching was subpar. That’s almost always the first thing we hear. On the rare occasion that the teacher has experience, the teacher is usually someone who is generally good at test prep. This is certainly an improvement. But, the teacher – in every case that we know – is not an attorney. The teacher never took the LSAT, went to law school, or practiced law. That doesn’t mean the teacher won’t be able to teach the LSAT but simply that it would be preferable to have a top teacher who did take the LSAT, attended law school, and practice law. Attorney Daryl Capuano is The Learning Consultants’ LSAT teacher. If you are in the general geographic area where The Learning Consultants flourishes, simply ask around about Daryl’s teaching reputation. Now add the following into the mix: Daryl is one of the very few lawyers in the educational tutoring world. Daryl attended Penn Law School and practiced law for ten years. He blends his experiential knowledge of the LSAT, law school, and the legal world with over a decade of experience teaching and tutoring test prep. 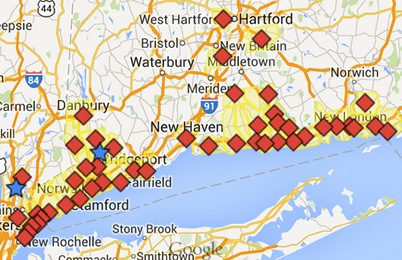 Interview any teacher at any franchise in Connecticut. See if you can find any that matches this combination of teaching excellence and legal experience.